We’re selective about the formulas we use on our hair, skin, and nails. The Spotlyte 7™ highlights recently-released and/or noteworthy products you can add to your makeup bag, one day at a time. Let’s go shopping. Blame it on the shampoo-conditioner hybrids of yesteryear (which sometimes left hair with a gummy residue), but two-in-one products often get a bad rap. So, we’d understand your potential disbelief if we told you we’ve been digging a certain type of two-in-one hair care lately. The new league of multi-use hair care casts a wider net; instead of focusing solely on hair, these products encompass body care, too. From non-comedogenic shampoos to texture mists that moonlight as body glitter, seven products that have you covered from head to toe — literally. 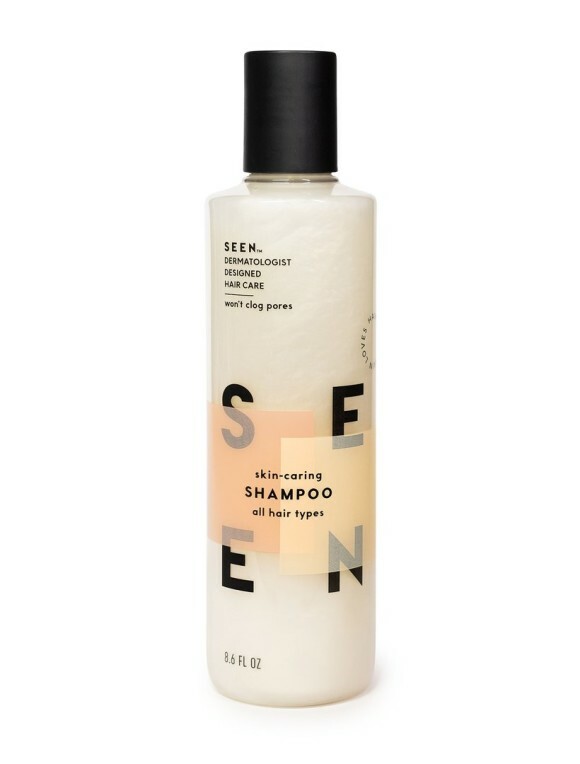 The SEEN™ Skin-Caring Shampoo ($29) is not intended to be slathered directly on the body, but it is formulated for skin. The brand was developed by a dermatologist who noticed a correlation between hair care products and body blemishes. That’s because most shampoos are generally not tested for comedogenicity (often due to the costliness). However, this brand puts every product through skincare-level tests to make sure potential residue isn’t the pore-clogging kind. 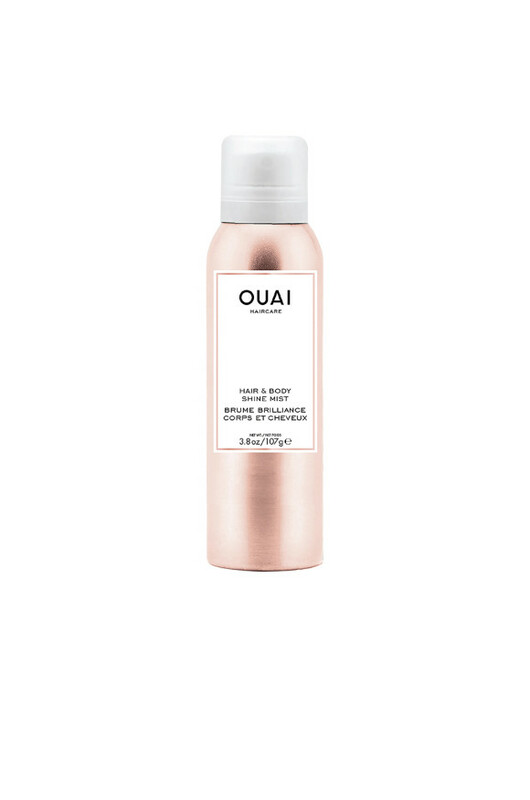 The first thing you’ll notice about the OUAI® Hair and Body Shine Mist ($32) is its sleek rose gold packaging. But we’d argue that what’s inside the bottle is even more gorgeous: a weightless oil that contains finely-milled diamond powder (yes, from actual diamonds) that leaves skin and hair glowing in a flash. In accordance with every other OUAI product, this stuff smells incredibly fresh, with notes of bergamot, lychee, and white musk. Who said sparkles are only for kids? (Not us.) The Briogeo® Sea Goddess™ Hair + Body Shimmer Mist ($24) makes a case for adding subtle, iridescent shimmer to your body and hair whenever you darn well please. The formula adheres to skin without flaking off, and gives hair beachy texture without making it look matted. Plus, the shimmer comes from finely-milled mica — which, unlike many types of glitter, is totally biodegradable. 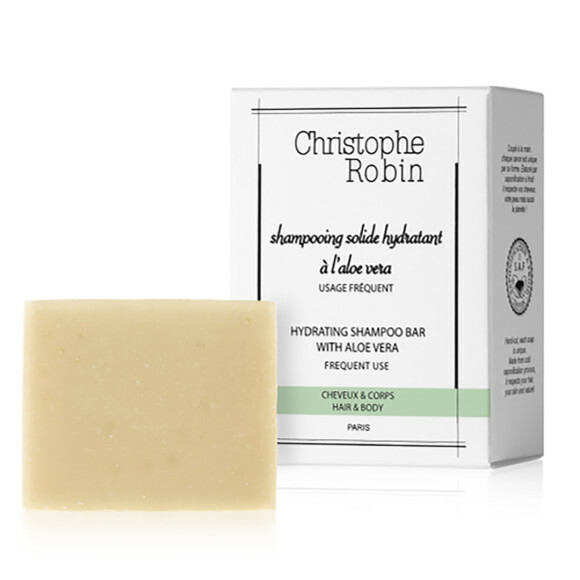 For the shower minimalist, the liquid-conscious traveler, or the person who simply wants an all-in-one, get-things-done kind of cleanser, try the Christophe Robin® Hydrating shampoo bar ($22). At first glance, you’d think it’s soap — and you wouldn’t be wrong — but it’s also a shampoo. What’s more, it’s made from 100 percent natural ingredients, including aloe, glycerin, coconut oil, and beer. Together, they work to leave skin soft and hair shiny. Sensitive skin types will love that the bar is fragrance free, too. On days when you simply don’t have time to create a full-blown glass hair look, the IGK® Speechless® Dry Oil Finishing Spray for Hair and Body ($27) might just be the next best thing. This multipurpose formula relies on lightweight avocado and alma oils to deliver a head-to-toe glisten (without a side of grease). Perhaps the most notable feature, though, is UV protection, which protects hair from drying out and premature color fading. Good news for Oribe® fans: the Cote D’Azur® Luminous Hair and Body Oil ($75), can be used on every square inch of your body to impart the brand’s signature scent. (Which, if you haven’t smelled it, is somewhat woodsy with a citrusy floral twist.) Plus, this bottle is sure to add a sophisticated touch to any vanity. Tea tree is one of the most trusted natural skincare staples, thanks to its ability to purify pores and calm inflammation. 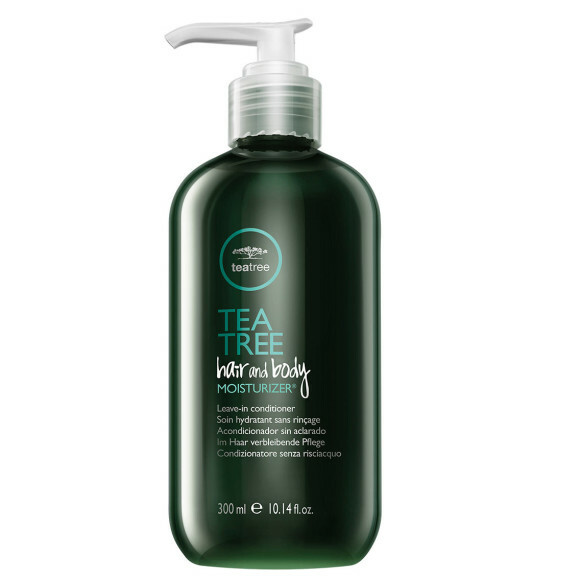 Find it in the Paul Mitchell® Tea Tree Hair and Body Moisturizer ($39), which harnesses these powers for your entire body. As a leave-in conditioner, it soothes the scalp and promotes shine, (the latter part thanks to jojoba oil). Used on skin, the cream keeps skin supple, while tea tree, peppermint, and lavender impart a clean, refreshing scent.